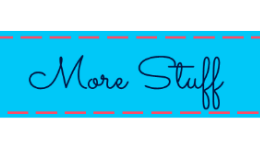 Catholic Kids: Cyber Monday (and Tuesday) Sale! 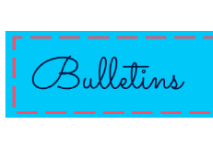 Cyber Monday (and Tuesday) Sale! For all you teachers out there, I created this Advent PowerPoint Presentation. It's quick and simple and will be an EASY lesson this week to give an into to Advent. 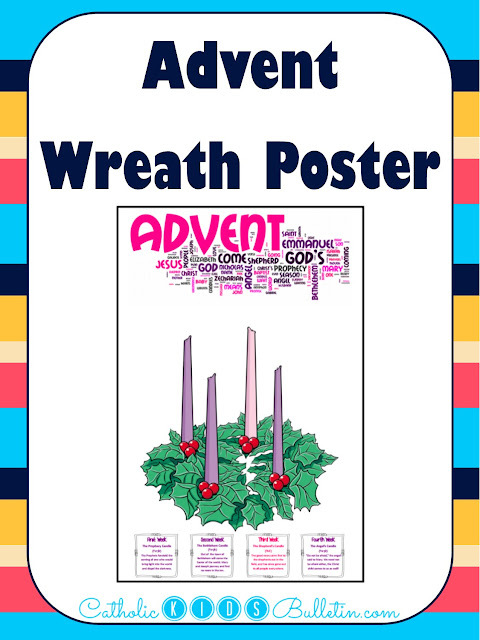 This Advent Wreath Poster is perfect for a classroom where there isn't a lot of space for an elaborate wreath. Add flames above the candles week by week as the class waits in anticipation for Christmas! The lights can stay 'lit' the entire week without hassling with candles, matches, or battery powered lights. I have this printed 24" by 36" in my classroom, but you could also print a small copy for each student to track the Advent progress on the front of a folder or binder. The poster includes traditional names for the candles (Prophecy, Bethlehem, Shepherd, and Angel) so the students can dig a little deeper into the meaning behind our Advent Wreath. 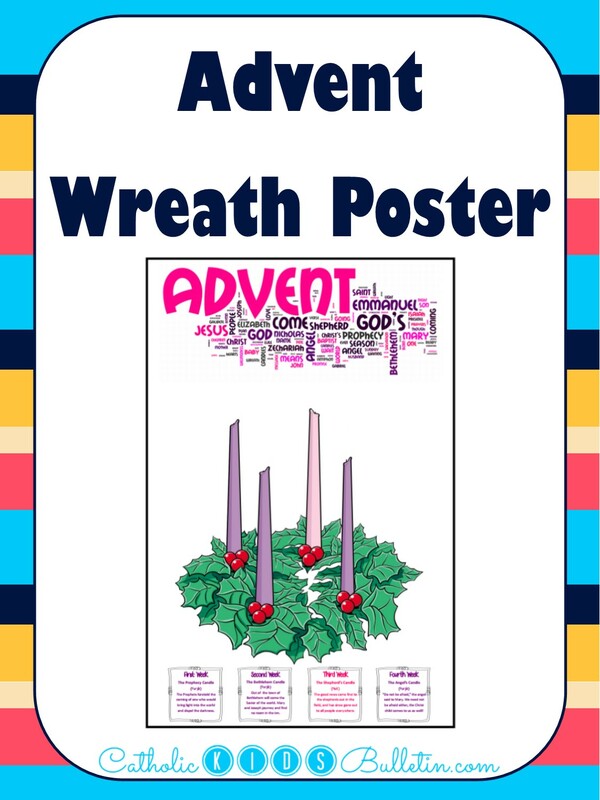 If you download from TPT, you'll be getting a digital file, but if that sounds like too much work, you can order a printed Advent Wreath Poster from Zazzle. You could also get some adorable Advent Wreath stickers for the kids to attach to their notebooks or binders. So cute! These awesome calendars are designed to help you pray and learn every day. 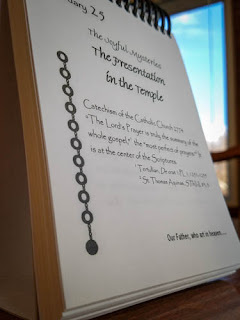 There is a calendar based on the Rosary with information and prayers every day. There is also a calendar based on Saints of the Americas with short stories of our local saints! These are NOT a download..if you order this I'll actually have to leave the house and mail it to you! But, I'd be happy to go out in the cold for that--don't worry! These are also 10% off for the next week, so order quickly! Jesus' Birthday is only a month and a half away--it's a bit ridiculous, but it would be adorable to have your kiddos write and share a few cute madlibs for Jesus' birthday! These Madlibs are perfect for any birthday celebration...even JC! You'll have to help your kiddos keep the madlibs appropriate--I'm not sure potty humor is going to seem quite as funny directed toward Jesus. But, God did make it all! They will be able to practice the parts of speech by filling in the spaces with nouns, adjectives, etc. Then, they can enjoy the awesome stories they created! There are 3 different Madlib versions. Two are structured as cute letters for the birthday boy/girl. The third version is the birthday song with a few fun adjustments. The download contains the 3 versions in 3 different styles. There is a simple black/white style for easy printing, and two colorful versions. Ugh, thank you cards are SO difficult for young children! Writing is difficult, and choosing the words to write is even harder. These fill-in-the-blank thank you cards make writing thank you notes simple and painless. 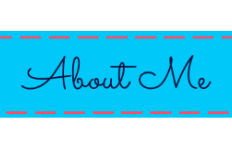 Choose 2 templates, print front/back, cut, fold, and let the kids get to work. 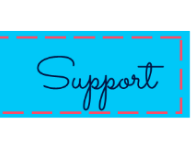 Based on ability (and motivation), the students can trace, color, and write in order to quickly complete heartfelt thank you cards for parents, friends, and principals. These cards include 6 Saint/Bible quotes 'covers' as well as simple 'Thank You' covers that can be colored by the students. There are numerous options for the 'inside' of the card which can be personalized by the student. 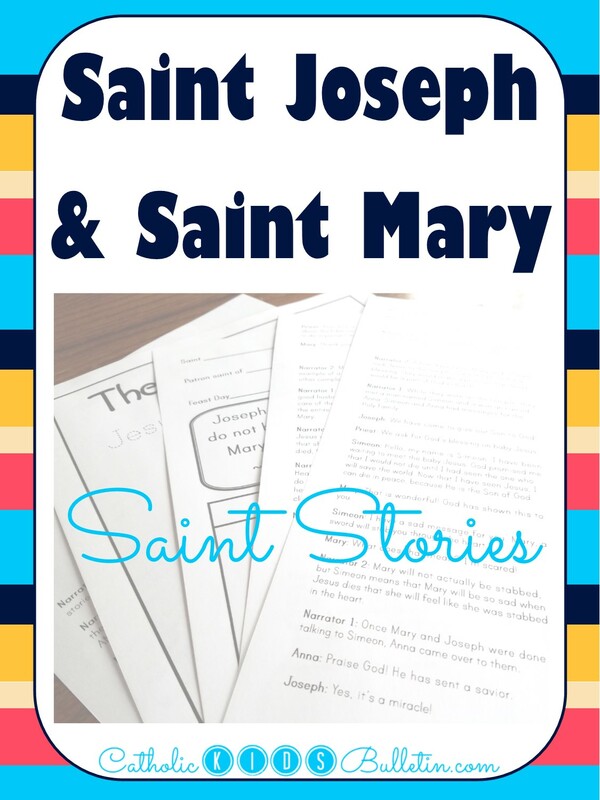 This script is a Readers Theater style skit perfect for learning about our Catholic Saints! 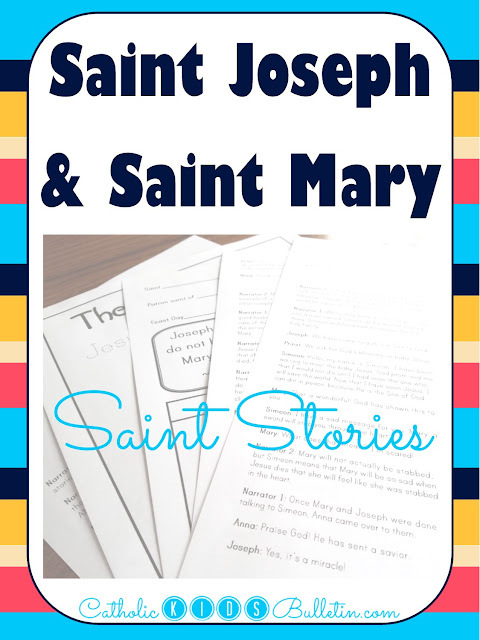 Students will learn about a few stories from the lives of Jesus, Mary, and Joseph in an easy to read play. This story covers the Annunciation, Joseph's visit from Gabriel, Jesus' birth, the presentation in the temple, and Jesus getting lost in the temple. 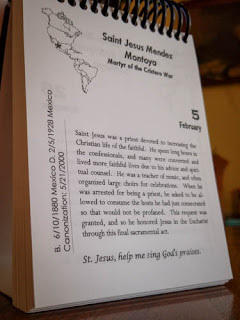 I've used these skits with 4th through 11th grade, and all the students love the chance to joke around, use different accents, and tell the story of a saint. The saint story also comes with a coloring page and a printable worksheet that the students can complete after performing the skit. There's a great preview of the Holy Family Skit over at TPT, you can click over to check it out.